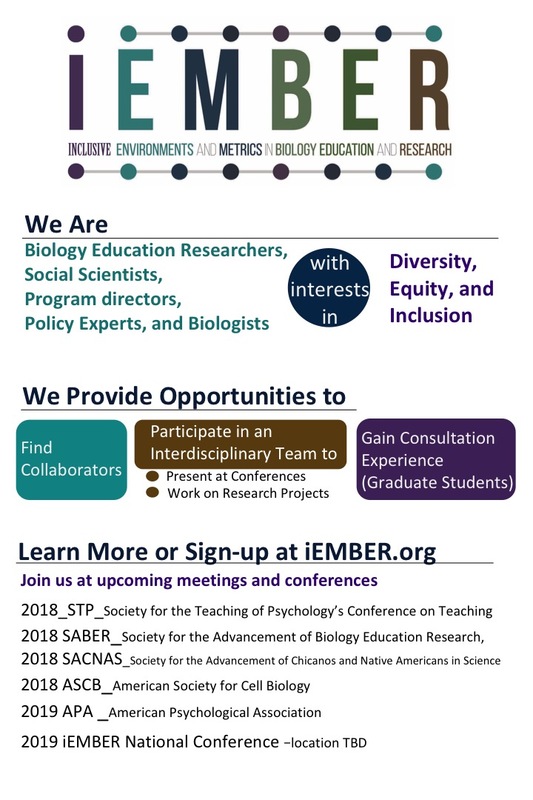 The objective of the Inclusive Environments and Metrics in Biology Education and Research (iEMBER) network is to coordinate efforts of researchers with interests in diversity from the education, biology, psychology and sociology fields. The iEMBER network focuses on expanding an understanding of how to create inclusive, supportive and engaging environments to foster the success of diverse students. In the incubator phase, the iEMBER network will establish a website linked to an interaction forum and host a workshop to bring iEMBER collaborators together to facilitate communication, collaboration and plan the full network. While the focus of the network is bioscience education and research, new metrics and paradigms developed by iEMBER collaborators are expected to be broadly applicable to other science, technology engineering and math (STEM) disciplines. The iEMBER research coordination network will address significant central questions concerning student experiences that affect retention and success. The focus and activities of the iEMBER network will address multiple Action Items from Vision and Change, A Call to Action (Brewer & Smith, 2011). Making the environments of bioscience and education more inclusive will help all students and advance the Vision and Change agenda. 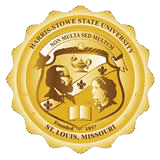 · “View assessment of course success as similar to scientific research, centered on the students involved, and apply the assessment data to improve and enhance the learning environment.” The iEMBER research coordination network will facilitate structured coordination among educators, biology researchers, sociologists and psychologists to look at the environment of biology education and research with a goal of broadening participation. · “Students need to become more active, engaged partners in the educational mission of their campus, whether they are at a two-year, four-year, or research-intensive institutions.” To address this item, the iEMBER research coordination network will create a forum to develop metrics and survey tools to ask students about their perceptions of the inclusivity of educational and research environments, a key factor to becoming partners in educational and research endeavors. 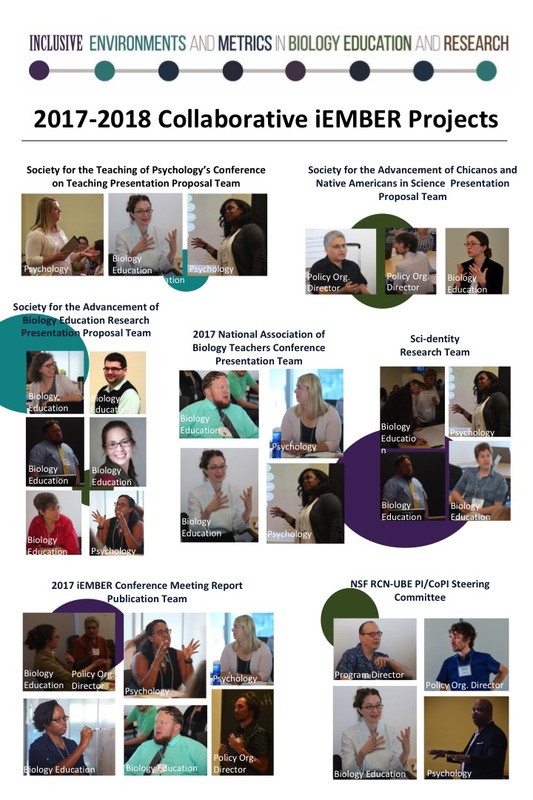 · “Faculty must engage in regular conversations and peer-to-peer mentoring about teaching and learning, and improve, test, and share their own understanding of how students learn”· “Regularly scheduled conferences to exchange ideas and keep the conversation going would help maintain the momentum needed for making meaningful changes in undergraduate biology education.” The iEMBER research coordination network will apply these networking concepts to the idea of inclusivity in biology education and research environments.